To everyone who visited, sent a card, telephoned, sent an email or said a prayer for me during my recent injury/illness and convalescence, a great big THANK YOU for all your concerns. I should be back up and running in mid-January, so, from Wanda and myself, please have a very Happy New Year and Happy holidays to you and yours. ~ 10-22-2016: Thoughts and Prayers are extended for a Speedy Recovery and a return to "Full Health" to our Past State President Vincent Pingitore, Jr. (1998-99). He recently underwent a Triple Heart By-Pass Surgery after a Heart Catheter Procedure revealed more urgent care. He will be in the hospital for  weeks recovering from the Heart Surgery and his broken ankle surgery. The issues started on October 11 while at work Vinnie broke his ankle. While undergoing surgery to repair the ankle he suffered a Heart Attack - while under anesthesia - which led to the Heart Catheter Procedure and the By-Pass Surgery. Get Well Wishes are extended to Brother Vinnie. He is currently in Medstar Washington Hospital Center - (Room 300 NE... Room 10) - 110 Irving St., NW, Washington, DC 20010 - Phone: (202) 877-7000. Let's send our "Get Well Wishes" to him at: cell number: (301) 704-8323 /// Email: vinnep@hughes.net. ** 11/01/2016 - UPDATE: Brother Vince has been transferred to Sagepoint Rehab in La Plata, MD - Room 317A for the remainder for his ankle and Cardio Rehab. He should be there at least for the next  weeks. He would welcome phone calls on his cell at: (301) 704-8323. Thanks for all the Prayers, Cards & calls, he really enjoys them. ~ 10-06-2016: Thoughts and Prayers are extended to our State Trustee John Mackenzie (Crisfield 1044) and his wife Bonnie for the tragic loss of their Grandson taken in an automobile accident. ~ "Thoughts and Prayers" are extended to our PSP Reese Hickman (Selbyville, DE Lodge #2173); A Speedy Recovery to "Full Health" is extended to Brother Reese. ~ He is currently in ICU at Atlantic General Hospital. Family members have advised that he is back at Brandy-wine but that Hospice has been contacted. They further have advised that Brother Reese is not eating or drinking therefore, Doctors @ AGH give him about a month. Let's show the Power of Prayer for Brother Reese. ~ PSP Bill Buttrill advises all that if anyone wishes to see or visit Brother Reese, the sooner the Better would be Best!! ~ 03-20-2016: Thoughts and Prayers are extended to our Grand Inner Guard (GIG) Ed Willis, PER (Dover, DE Lodge #1903); A Speedy Recovery to "Full Health" is extended to Brother Ed. He had a double Heart Bypass but is now recuperating at Home with some much needed Rest. ~ 03-20-2016: Thoughts and Prayers are extended to Greg Wilkes, PER/PDDGER/PSP (Hagerstown, MD Lodge #378); A Speedy Recovery to "Full Health" is extended to Brother Greg. ~ 03-15-16: Thoughts and Prayers are extended to Past Grand Lodge Treasurer Reese Hickman, PER/PDDGER/PSP (SELBYVILLE LODGE #2173); who successfully had two stents installed Monday night (3-14-16). A Speedy Recovery to "Full Health" is extended to Brother Reese. Based on his recovery, he will be moved to Health South, Salisbury, MD, as soon as he is able. Brother Hickman's phone number is 443-783-9006. ~ One Flag, One Language, One Nation Under God !! THEIR VIRTUES UPON THE TABLETS OF LOVE & MEMORY! ~ You have heard the tolling of eleven strokes. This is to remind us that with Elks the hour of eleven has a tender significance. Wherever Elks may roam, whatever their lot in life may be, when this hour falls upon the dial of night the great heart of Elkdom swells and throbs. It is the golden hour of recollection, the homecoming of those who wander, the mystic roll call of those who will come no more. Living or dead, Elks are never forgotten, never forsaken. 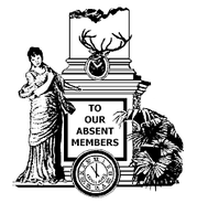 Morning and noon may pass them by, the light of day sink heedlessly in the West, but ere the shadows of midnight shall fall, the chimes of memory will be pealing forth the friendly message: “To Our Absent Members".
" TO OUR ABSENT MEMBERS "
~ IT IS WITH HEAVY HEART THAT WE POST THE PASSING OF ROGER WILBRANDT, PER of OCEAN CITY, MD LODGE #2645. WE EXTEND OUR CONDOLENCES TO OUR ELK FAMILY, AND TO HIS FAMILY. OUR THOUGHTS AND PRAYERS ARE WITH YOU. UNTIL WE MEET AGAIN BROTHER ROGER; REST in PEACE BROTHER!! *** Among his many ELK accomplishments was his recently (Oct. 2016) receiving the "SILVER AWARD" from ENF for his Contributions that exceeded $10,000.00. 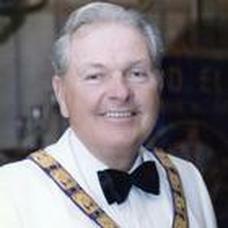 ~ IT IS WITH HEAVY HEART THAT WE POST THE PASSING OF ELMER B. ROBINSON, PER & CHARTER MEMBER of CALVERT, MD LODGE #2620. WE EXTEND OUR CONDOLENCES TO OUR ELK FAMILY, AND TO HIS FAMILY. OUR THOUGHTS AND PRAYERS ARE WITH YOU. UNTIL WE MEET AGAIN BROTHER ELMER; REST in PEACE BROTHER!! ~ A VIEWING WILL BE HELD ON TUESDAY, OCTOBER 25 from 2-4 PM AND 6-8 PM AT THE RAYMOND-WOOD FUNERAL HOME LOCATED AT 10684 SOUTHERN MARYLAND BLVD., DUNKIRK, MD. ~~ INTERMENT WILL BE ON WEDNESDAY, OCTOBER 26 AT THE RAYMOND-WOOD FUNERAL HOME WITH BURIAL AT SOUTHERN MEMORIAL GARDENS LOCATED AT 10155 WARD RD., DUNKIRK, MD. *** Dortha M. Maguire, 84, formerly of Preston passed away on Thursday, August 25, 2016 at Kent General Hospital in Dover, DE. She was born in Rhodesdale on November 22, 1931 and was a daughter of the late Isaac N. Milligan and Ernestine Thomas Milligan. **Mrs. Maguire attended schools in Eldorado and Hurlock and graduated from Hurlock High School class of 1948. On December 26, 1953, she married Reginald A. Maguire, Jr., who passed away on August 12, 2014. * She is survived by her son Reginald A. Maguire III and wife Vicky of Dover, a grandson Patrick T. Maguire of Norfolk, VA, two sisters Eileen M. Jones of Hurlock and Virginia M. Stover of Oklahoma City, OK, a brother James Franklin Milligan of Hurlock and several nieces and nephews. ~ IT IS WITH HEAVY HEART THAT WE POST THE PASSING OF PSP REESE HICKMAN, PDDGER (1969-1970 as DDGER in Former EAST DISTRICT & 1979-1980 as STATE PRESIDENT) of SELBYVILLE, DE LODGE #2173. BROTHER REESE WAS A VERY HUMOROUS & HONORABLE STATESMAN FOR OUR STATE ASSOCIATION & OUR ORDER. HE WILL SURELY BE MISSED BY MANY, MANY ELKS' FRIENDS & FAMILY. GOD BLESS YOU BROTHER REESE!!! WE EXTEND OUR CONDOLENCES TO OUR ELK FAMILY, AND TO HIS FAMILY. OUR THOUGHTS AND PRAYERS ARE WITH YOU. UNTIL WE MEET AGAIN BROTHER REESE; REST in PEACE BROTHER!! Reese H. Hickman, age 87, of Selbyville, DE passed away Monday, August 22, 2016 at Brandywine Assisted Living in Fenwick Island, surrounded by his family. Reese was born April 27, 1929 in Roxana, DE son of the late, Frank E. and Delia K. (Shockley) Hickman. He was a graduate of Selbyville High School. He was past owner of Hickman Masonry for many years. Reese was a high member of the Elks organization. He was Past Exalted Ruler of Selbyville Lodge #2173; Past State President of MD, DE & District of Columbia Elks Association; Past Grand Treasurer of Benevolent & Protective Order of Elks (B.P.O.E.). In addition to his parents, he was preceded in death by his siblings, Larry, Frank, Selby, Ester, Donald, Elbert, Ranzo, Henry, Veldora and Belinda; and his loving wife, Odetta I. Hickman. Reese is survived by a sister-in-law, Anna Hickman; several nieces and nephews; grandchildren; great grandchildren; great great grandchildren and many dear friends. Reese knew how to make people smile and for that we will always be grateful. A visitation will be held on Monday, August 29, 2016 at the chapel of Melson Funeral Services, 43 Thatcher Street, Frankford, DE 19945 from 4:00 pm to 6:00 pm with Elks Service at 5:30 pm. A funeral will be held on Tuesday, August 30, 2016 at 12:00 noon at the funeral home, where friends may call after 11:00 am. Interment will be in Roxana Cemetery. *** In lieu of flowers, please make a donation in Reese’s memory to Elks National Foundation (ENF). ~ IT IS WITH HEAVY HEART THAT WE POST THE PASSING OF GEORGE B. HORNECK, PDDGER (1990-1991 - SE DISTRICT 3760) of CAPE HENLOPEN, DE LODGE #2540. WE EXTEND OUR CONDOLENCES TO OUR ELK FAMILY, AND TO HIS FAMILY. OUR THOUGHTS AND PRAYERS ARE WITH YOU. UNTIL WE MEET AGAIN BROTHER GEORGE; REST in PEACE BROTHER!! ~ A MEMORIAL SERVICE WAS HELD AT THE CAPE HENLOPEN LODGE ON SATURDAY, JULY 23rd @ 2:00 pm. ~ IT IS WITH HEAVY HEART THAT WE POST THE PASSING of SUSAN CONLOGUE, PDDGER (2010-2011 - NE DISTRICT 3720) of DOVER, DE LODGE #1903. WE EXTEND OUR CONDOLENCES TO OUR ELK FAMILY, AND TO HER FAMILY. OUR THOUGHTS AND PRAYERS ARE WITH YOU. UNTIL WE MEET AGAIN SISTER SUSAN; REST in PEACE SISTER!! ~ IT IS WITH HEAVY HEART THAT WE POST THE PASSING of JOYCE M. BAILEY, PDDGER (2005-2006 - NE DISTRICT 3720) of DOVER, DE LODGE #1903. WE EXTEND OUR CONDOLENCES TO GREG WILKES, PSP AND TO HER FAMILY. OUR THOUGHTS AND PRAYERS ARE WITH YOU. UNTIL WE MEET AGAIN SISTER JOYCE; REST in PEACE SISTER!! ~ IT IS WITH HEAVY HEART THAT WE POST THE PASSING of PSP PAUL R. MELLOTT, PDDGER (1985-1986 as DDGER - W DISTRICT 3840 & 1987-1988 as STATE PRESIDENT) CUMBERLAND LODGE #68. WE EXTEND OUR CONDOLENCES TO HIS FAMILY. OUR THOUGHTS AND PRAYERS ARE WITH YOU. UNTIL WE MEET AGAIN BROTHER PAUL; REST in PEACE BROTHER! !